"A Spice of Life was so much more than a catering service. From the very first meeting, the personalization and focused customer service was more than I’d ever experienced before. The food was also phenomenal! It’s amazing how many people told me that they were shocked the food was so delicious because wedding food is usually so bad." 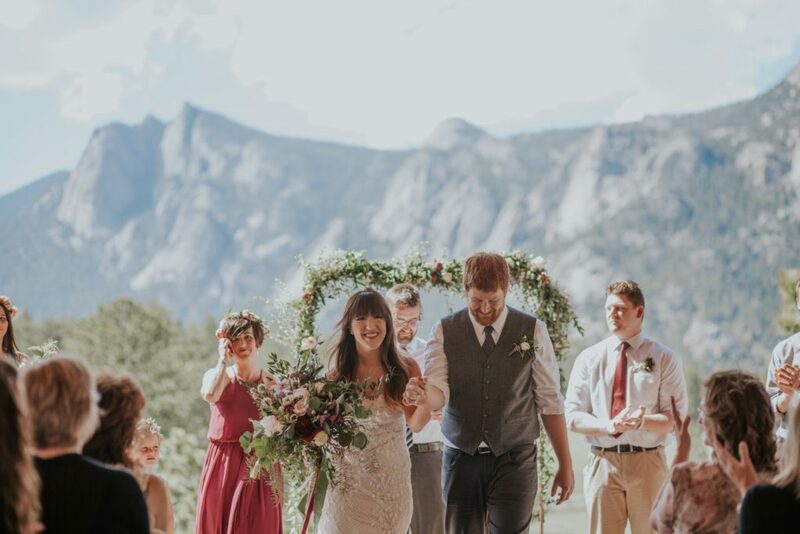 "Friends have told us that this was the loveliest wedding they ever attended. You folks at A Spice of Life Catering are responsible for so much of this praise." A Spice of Life Catering + Events was founded in Boulder in 1987. Through the constant pursuit of innovation, our impeccable culinary standards and our drive to exceed our clients’ expectations at events, we’ve grown into one of the most in demand catering companies in Colorado, serving Denver, Boulder and mountain locations such as Vail and Estes Park. Our goal is to make event planning simple and effortless for our clients; A Spice of Life Catering + Event’s professional in-house event specialists are knowledgeable and helpful throughout the planning process. With their passion for culinary trends and their incredible attention to detail, you’re guaranteed an awe-inspiring wedding. As a full-service event planning firm, we are also capable of coordinating entertainment, rental needs and can provide inspired menu ideas to suit your vision. A Spice of Life is a true team of experts. Our culinary staff works closely with our event specialists and our operations team to ensure that our menus are current and fresh, that all the details of event are managed properly, and that the vision for your event is realized so you can relax and enjoy along with your guests. 1. What makes A Spice of Life more than just a caterer? A Spice of Life is a full-service catering and event planning company. This means our team will handle all of your individual event needs prior to the event as well as day-of coordination. Before your event, you will have a meeting with your Event Specialist as well as a walk-through at your venue. We are here to guide you through the entire process, from your first phone call, menu and decor design, development of your event timeline, to assistance with referrals of other services. Not only are we committed to providing excellent food and service, but we care greatly about you and your guests’ experience from start to finish. With 25 years of service under our belts, we have learned that great food is only part of great catering. We have multiple people working for you such as a team of certified chefs, an operations team, and a management branch overseeing all events and deliveries to execute your event flawlessly. Our experience is what separates us from the rest. A Spice of Life is here for you – we’re a family, and when working with us, you’ll feel like family too. 2. This is my first time planning an event. Where do I start? The first step is always to reserve your event date at your chosen location. Once this is finalized, you can discuss the details of your event with your Event Specialist, who will work to turn your vision into reality. We suggest meeting with an Event Specialist early on in the process so we can discover what is most important to you and help you meet your deadlines. Your Event Specialist will create an accurate event proposal that details the costs associated with your event with A Spice of Life. From there, we will work with you to adjust that proposal until we have achieved your vision. We can also recommend great local vendors that we have worked with to help you with other aspects of planning your event. 3. How much will it cost to have A Spice of Life cater my event? There are typically four areas of cost in your event proposal: the menu, the service team needed to execute your meal in your selected style of service, your rental and/or paper products, and gratuity. Keep in mind that all of these are moving parts; they depend on your overall vision and priorities and will vary depending on your decisions. Our goal is to make the event planning process as seamless as possible, so our Event Specialists are happy to speak with you candidly about how we can best achieve your ideal event within your ideal budget. 4. How do you choose staff for my event? Part of A Spice of Life’s mission statement outlines our commitment to providing excellent customer service. We strive to be leaders in our field with training programs that ensure our newest servers are as professional as our seasoned veterans. Thanks to superior standards, including our certified T.I.P.S. trained bartenders and our annual extensive training series for all team members, we exceed our customers’ expectations with first-rate customer service. The service staff for your event is based on your selected menu as well as your service style. Our Event Specialists use our years of experience and a thoroughly tested formula to determine how much staff your particular event needs. 5. How do I coordinate rental items, linens and paper products? Part of our service is to arrange and provide these details for you. We work with a variety of vendors and have a wide range of possible china, glassware, flatware, tents, lighting, tables, chairs, linen selections, AV, staging, and more. Upon understanding your vision for your event, we will make our recommendations for quantity and selection of items. After you have discussed your needs with your Event Specialist, the cost for these items will be included on your comprehensive proposal, but are separate from food costs. 6. Do you include any décor or design with the food and service for my event? Creativity is one of our primary values at A Spice of Life. We believe that beautiful, creative presentation is just as important as how great the food tastes, so we include complimentary seasonal flowers, menu calligraphy and food station decor on your buffet to match your event’s style or theme. If you have specific props and décor ideas in mind, your Event Specialist can coordinate accordingly.